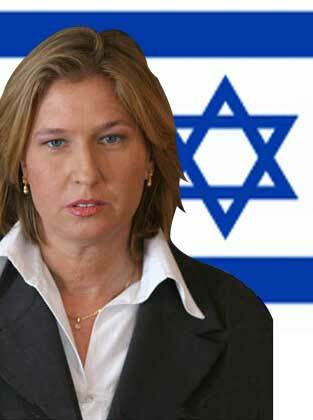 Introduction: Tzipi Livni recently won the Kadima election to put her on track to become the Prime Minister of Israel. Giving her the opportunity to form a government that would gain support from a majority of the Knesset, Israel's parliament. If she succeeds in forming the government, Livni will become the second female Prime Minister of Israel, after Golda Meir. But, she has to still form a coalition government. She has Jupiter Atmakaraka and in Virgo is the Karakamsa. Exalted Mercury placed with Jupiter in Karakamsa forms excellent Rajayoga and makes her proficient in Law, Management and diplomacy. She has Sun squares fiery Mars making her go ahead, impulsive and courageous. Jupiter aspecting Mars makes her highly optimistic. She has Saturn trine Mars trine Mercury-Uranus gives her exceptional confidence, high self esteem and also self discipline. The transiting Jupiter is currently aspecting her natal Sun which usually gives success and higher post. Without a correct birth time it's not possible to be accurate with predictions but her Jupiter makes a good contact with Israel's chart so she can boost the morale of Israeli people and may also motivate them. In her Solar return chart Mars is placed with strong 10th house of Lord Venus, powerful Jupiter in the 5th house and Moon is in conjunction with exalted Mercury which might push her onto a more useful track. But, Rahu in Capricorn which is the 8th house from natal Sun may cause problems for her, particularly, when Rahu transiting is in Gemini Navmansa during the month of November and December 2008. So it would be better for her to form a new government before November which if it ends in failure will result in a general election within months. She might bounce back from late January 2009 with more confidence.